Customized w/ your logo - Uniball Power Tank RT, for company pens. Features of the ink pen include style, larger barrel size, unusual pen. in extreme cold & even upside down !!! Refillable company pens. Textured gripper & balance makes for a real writing experience. Uniball Super Ink is smoothest writing and an indelible ink pen. 207 Gel Impact RT has a 1.0mm ball producing a 0.4mm line. Normal delivery from date of order for this pen is 2-3 weeks. 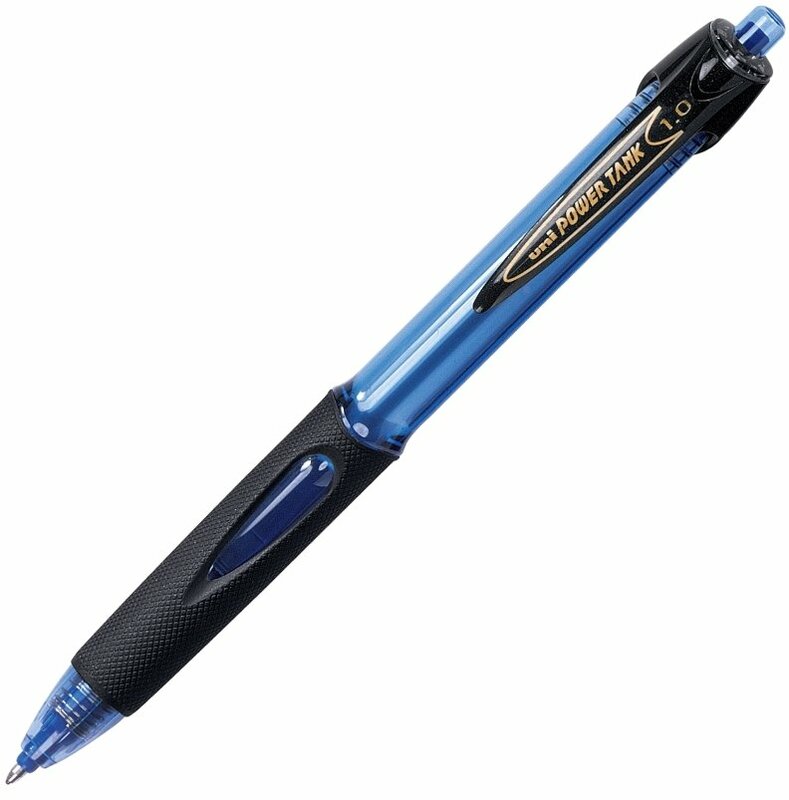 When your company logo is on the pen - make it a Uniball. Price includes one color imprint on the barrel 1.25" w x .25" h.
a running charge of $.10 each - max of 4 print colors.